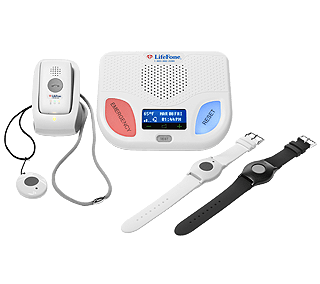 Your LifeFone System consists of a Medical Alert Base Unit, and an Emergency Help Button which is either on a pendant or a wristband. Plug in the Base Unit Console. Place the Base Unit on a table or nightstand and plug the electrical cord into your wall outlet. Plug the jack into the wall. 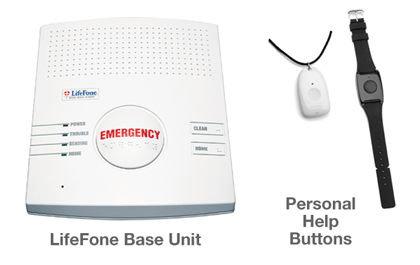 Your LifeFone Base Unit has a phone cord attached to it, which you simply plug into your telephone wall jack. Plug your phone into the LifeFone unit. If you have an exisiting telephone using that wall jack, unplug that phone cord and plug it into the back of your LifeFone unit in the spot labeled "Phone". Turn on your LifeFone Base Unit Console. 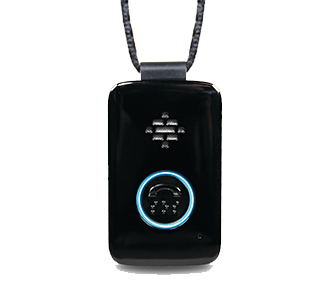 Push the switch on the back of your unit from the Off to the On position. Press Your Help Button to Test the System. A loud signal will indicate the system is working. Tell the responding LifeFone Care Agent that you are testing your system. 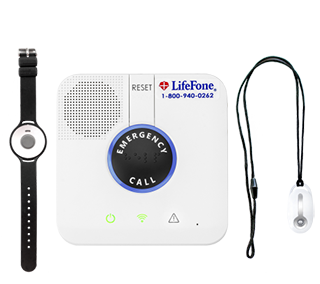 If you have any questions about how to set up your LifeFone system, please call us 24 hours a day at 1-800-940-0262. The following pdf files describe the correct connection method for various types of setups, including without a phone; with a phone/answering machine combo; with a dsl, and with a cable modem.